St Andrew is the patron saint of our parish. 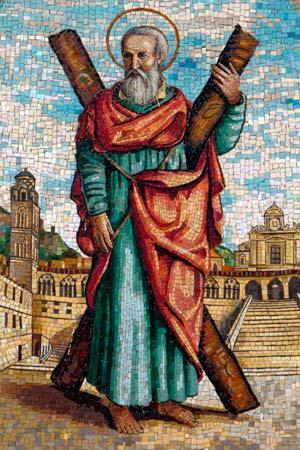 St. Andrew was born at Bethsaida in Israel. He and his brother, Simon Peter, grew up to become fishermen. St Andrew is also the patron saint of Scotland and Russia. How to download our new school app. London Borough of Brent Links to schools and colleges page.